Filling notebook after notebook with sketches, inventions, and theories, artist Leonardo da Vinci (1452– 1519) not only stands as one of the most exceptional draftsmen of art history, but also as a master painter and innovator. Many think the Italian polymath anticipated some of the greatest discoveries of human progress, sometimes centuries before their material realization, including the parachute, helicopter, and tank. 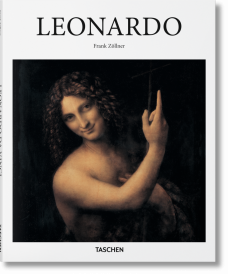 Leonardo is without a doubt a “Renaissance man” and genius that painted and drew his way into history. Some of his more well-known drawings are of the human anatomy, like the iconic Vitruvian Man, which blends art and science and is a perfect example of how Leonardo understood proportion. From the smallest details of anatomy to the far-flung constellations of the universe, Leonardo saw nature and science as being unequivocally connected. His points of enquiry and invention spanned philosophy, anatomy, geology, and mathematics, and from the laws of optics, gravitation, heat, and light to the building of a flying machine. Though his talent and notoriety as a draftsman are without compare, he is perhaps best known for his painting, the most famous of which is arguably the Mona Lisa. In his painting, Leonardo steered art out of the Middle Ages with works such as The Last Supper, John the Baptist, and the world-famous La Gioconda, otherwise known as the Mona Lisa. The Mona Lisa depicts not only the physical appearance of a woman, but also a compelling psychological intrigue, the depths of which continue to draw crowds of mesmerized visitors. 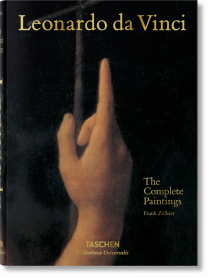 His masterpieces have been exhibited all over the world, including Paris, Rome, London, and New York, and remain as captivating as ever. 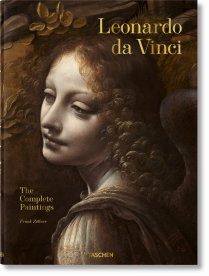 TASCHEN’s Leonardo da Vinci books present the inventions, paintings, and drawings of this master artist in exquisite detail. 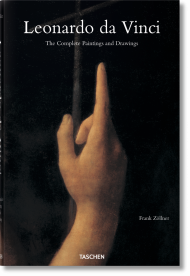 Introductory texts explain the fascinating history and continued relevance of a true genius of the Renaissance.